Categories: Angels / fairies, Candles / Holders, Essential oils / Burners, Gemstones / Healing crystals, Giftware, Holistic health products, Homeware, Homeware / Household, Relaxation / Meditation, Religious / Spiritual. 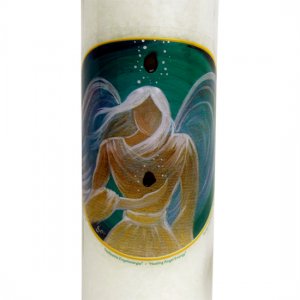 White stearin candle in glass with an image of a healing angel. Cork coaster included. 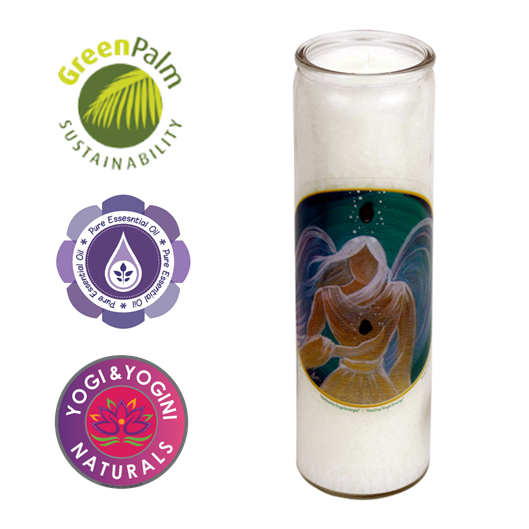 Fair Trade (WFTO) and Greenpalm certified. 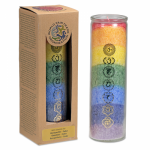 Scents on a base of essential oils: incense and myrrh. Don’t place in a drafty spot, this will shorten the burning time.